Q. What will the government’s Living Longer Living Better Reforms (LLLB) change for people going into residential Aged Care? The LLLB Reforms will take effect from 1 July 2014. They aim to provide more choice for people needing aged care. In relation to Residential Aged care, this flexibility includes how people want to pay for their accommodation costs as well as increasing the scope for residents to purchase additional services and amenities. Ultimately, consumers and carers can exercise more power and choice in the design and delivery of their care. Q: I have an ACAT but I have heard that there are new reforms that affect high and low care classifications? From 1st of July 2014, the LLLB reforms will apply which means the distinction between high and low care will no longer exist. Regardless of the classification on the pre 1 July ACAT assessment form, you will be able to choose any aged care home for a placement. Q. Where do I go to get more information on the Reforms? 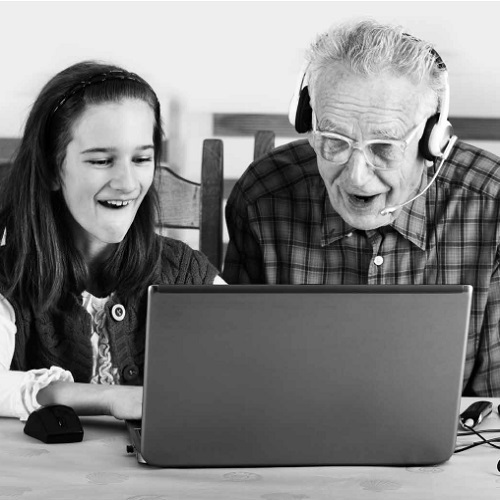 The My Aged Care website (myagedcare.gov.au), allows consumers to review all homes in detail including the type of rooms available, pricing and care services offered. However it is important to note that you should always visit the homes and meet the staff to be able to make a complete assessment of whether the accommodation will suit you. At Allity we make a point of inviting you to attend a pre- entry appointment with our care team members to ensure we are able to meet your care and service expectations. Q. How will residents already in an aged care home be affected by the Living Longer Living Better Reforms? Any residents in an aged care home before 1 July 2014 will not be affected by the reforms. Q. What do I have to pay for when I go into aged care? From 1 July 2014, residents have the choice to pay for their accommodation by lump sum known as a Refundable Accommodation Deposit (RAD) or a daily fee known as the Daily Accommodation Payment (Direct Debit DAP) or a combination of the RAD and DAP. In some instances, residents can also elect to deduct their daily accommodation payments from their refundable accommodation deposits. RADs are fully secured by the government for approved aged care homes. These are the homes that have been assessed by the government for their ability to provide pre-set standards of care and compliance. Allity is an approved provider of aged care services under the Aged Care Act 1997 (Cth). The Daily Care Fee or Contribution to Care Fee is a fee which all residents pay, no matter what their financial position, and equates to 85% of the full pension. This payment is for the provision of services related to care of the resident and will be means tested from 1 July. For people who cannot afford the full cost of care, government funding is paid to the aged care provider to support you so that no one is disadvantaged. These fees are usually aligned as a percentage of the pension. This amount is only applicable where a resident is deemed able to contribute further towards the cost of their care. Q. How will means testing arrangements change for residential aged care recipients? From 1 July 2014, the Government will combine the current income and assets test for anyone entering residential care after this date. We always recommend people seek professional financial advice if there are any questions or decisions to be made in relation to a resident’s choice of accommodation payment options to suit individual situations. Allity cannot provide financial advice under any circumstances. Q. What if I have a complaint? In the first instance, we encourage our residents and families to approach us in person to discuss any feedback, suggestions and complaints in relation to the care and services that we provide. In addition, every one of our Homes have a feedback platform - 'CarePage' that our consumers can use to provide us with feedback and to let us know if you would like to be contacted or alternatively you can remain anonymous. From January 2019 the Quality and Safety Commission will replace the Aged Care Complaints Commissioner and can be contacted on 1800 951 822. Q. How do I know if I need to look at moving into care? This is never an easy decision to make. The first signs of needing assistance with daily living are when the normal day-to-day tasks have become too difficult to manage without help from others. The best thing to do is discuss it with someone who respects your situation and knows you well. Perhaps this could be a family member, or your local doctor. Another way of ascertaining your needs is to consult with the Aged Care Assessment Team (ACAT). Regardless of your situation they will have to assess you anyway, if you wish to enter residential aged care. So it may be a good idea to speak to them about your needs. Q. What is an assessment? An assessment is merely an evaluation by a member of the Aged Care Assessment Team (ACAT) who is a health care professional in the area of senior care. They will visit you and ask you some questions about your life and lifestyle to find the best possible care options for you. You may have anyone present with you for the assessment, such as a carer or family member. And if you wish, you may instruct your doctor to provide your medical history to the ACAT representative. These assessments are free. Q. What if I only need care for a short time? This is commonly known as respite care, which Allity provides in conjunction with permanent care accommodation. Respite is a period of temporary accommodation in an aged care home, which may be required for a number of reasons. Trying out a home before making a decision to move permanently. A carer or support person might be going away on a holiday or unavailable for a period of time. The government provides funding to support respite for a number of weeks throughout the year (this also requires an ACAT assessment) unless you are choosing to pay privately. Respite needs to be booked well in advance in our Allity homes, so it is best to contact the home of your choice as early as practicable to secure a place. Q. What are the standards for staff working in Aged Care Facilities? The staff working in a home should be fully trained to the highest standard. Aged Care Homes are subject to an accreditation process conducted by the Aged Care Standards and Accreditation Agency. The home must pass a series of compulsory checks to operate. They can also be subject to spot checks, a process fully supported by Allity who believe that only services, which consistently meet high quality standards, should be allowed to operate. Q. What kind of personal care can I expect to receive? Care should be assessed and provided based on the individual needs of each and every resident. This is something you should always discuss in detail with your intended place of residence and should include things apart from your clinical care needs. These could be the activities you like to do, any community ties you have and want to maintain, what you like to eat and who your family and friends are, just to name a few. Q. Should I consider an Enduring Power of Attorney? An Enduring Power of Attorney is a legal document that appoints someone else (the attorney) to act on your behalf regarding financial, medical or lifestyle matters and property if you do not have the capacity to manage or understand these matters. You can get advice about preparing a power of attorney from a solicitor, a community legal centre, a state trustee company or your local magistrate's court.